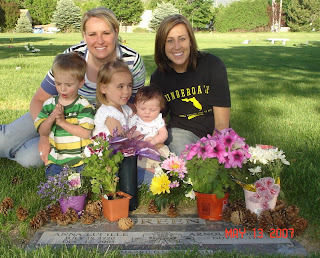 On Mother's Day we took Bryson to visit my grandma's grave. 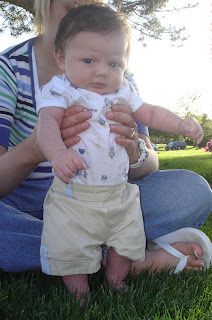 He stood on grass for the first time while we were there and didn't seem to mind the feel of it. 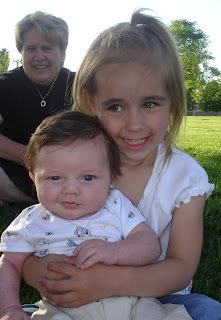 My niece Zyan loves to hold him.